Keeping Your 'Cardio' Fun - Welcome to SarahKesseli.com! You don’t necessarily have to head to the gym and jump on a machine in order to get your cardio in! Here are some great ways to keep it fresh and fun this time of year — without heading to the gym! So, if you are looking for a new way to enjoy getting your cardio in here are some great (and FUN) ways! 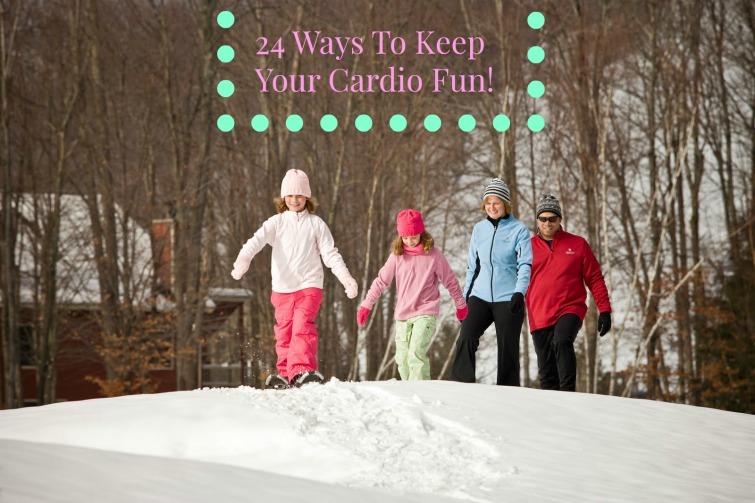 *What is your favorite way to keep your cardio fresh?